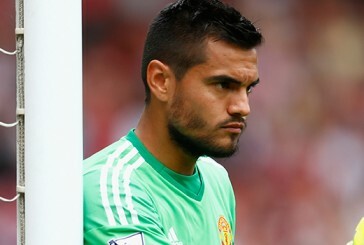 Sergio Romero joined Manchester United as a free agent in the summer of 2015 and enjoyed an impressive maiden campaign, keeping six clean sheets in 10 appearances. A World Cup finalist with Argentina, he made an excellent start to life as a Red, conceding just two goals in four Premier League games in August. 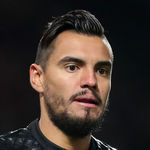 Though he was largely used as back-up to David De Gea after then, Romero proved his worth when called upon by former boss Louis van Gaal, who previously managed Romero at Dutch club AZ Alkmaar. The goalkeeper came under the spotlight during February’s Europa League first-leg clash against Midtjylland, making a string of stunning saves after stepping in for the injured De Gea just before kick-off. One stop in particular caught the eye – an amazing leap to keep out Paul Onuachu’s header, which became a contender for save of the season. It’s certainly a stop Romero won’t be forgetting in a hurry. “It was one of the best saves I’ve made in my life!” he exclaimed after the game. I reckon he is going to be the goalkeeper for Europa League and Cup games. Argentinian first choice keeper as our backup. GK department can't get better than that. Made a very important save tonight, good reflexes. Very happy to have him as backup, not too many better. He is a good shot stopper, decent distributor. Prone to the ocassional howler but is reliable. Perfect second keeper. I'd expect him to be a frequent backup for Jose. Good enough to be second keeper. Not sure why people think he should be sold. Don't need a full squad of world class players to be competitive. Sold? Who wants Big Serge sold? I'm not having that. I want names. Never did like Lindegaard. He was a bit vocal for a back up goalie. Seemed like there was a new interview with him every week, kept repeating the "I'm not here to pick my nose" line. I don't think I've ever heard Romero say a word. He turns up when needed, has a decent game, disappears again. Textbook #2 keeper behaviour. He doesn't care about flashy cars. 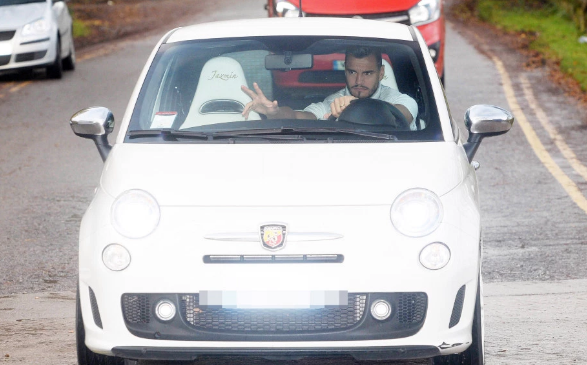 I think he is the best number two I can remember us having. Sounds cliché as feck but I've had to defend him so many times. I liked and rated Lindegaard, but apart from a couple of mistakes, he hasn't done anything wrong. Never complains either, probably helps keeping DDG happy, as well. His reflexes are up there with the best. Saved Jones' blushes with some great reflex saves. Quality keeper who is happy to be #2, never moans, does what is asked of him and on top of that he is actually a good goalkeeper. Happy with him so far. I'm sure he had a few. Looked really nervous at times. He really wasn't and that comes from the Pole. Great player - much too good to play second fiddle. I actually think he could be our number one should DDG decide to leave at some stage. I think his distribution and calm on the ball is better than DDG's. 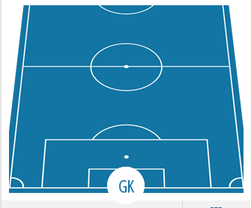 DDG is obviously the superior goalie. Not good enough to be our number 1. He is good for games here and there, but not for 50 games a season on this level for us. His concentration lets him down. If we want to play for 7th place in the league, then yeah, but if we want to challenge for trophies the next years, he is a decent backup keeper. You think the 13 or something games Romero has played is better then the 8 years , including crucial CL games Der Gow featured in..? He's a good 'keeper. Has been ever since he arrived here. Never rated Der Gow that much. Did he really stay for 8 years? wow. He's capable of defending with legs which is always good trait for a keeper. As fantastic as DDG's shot stopping is and how many points he's saved us over the last three years, I think its much easier to get the ball forward with Sergio's simple but quick rolled releases than DDG's boots to whoever is on the left hand side of the half way line. Not sure if it has been coached into him but I'd like to see DDG do more of that. I mean in terms of quality. RVDG was not that good IMO. He was a great shot stopper with good aerial ability and poor at distributing the ball. IMO marginally better than Foster. I do rember some. He caused the pen in that Pompey game in FA. That save was brilliant. I thought agility was his main weakness? Cudicini was class. Much to good to play second fiddle. Romero is too good for that too I fear. It's mad how his name is often mentioned when talking about a clear out. We got him for free, he's probably one of the lower earners in the squad, he's a full international and in the last year and a half, he's not made a peep to the press about not getting games. #2 goalkeepers don't come much better. We should keep him for as long as we can, certainly for as long as he's happy to do it.